It’s Thursday! You know what that means! It’s time for Things We Love Thursday! 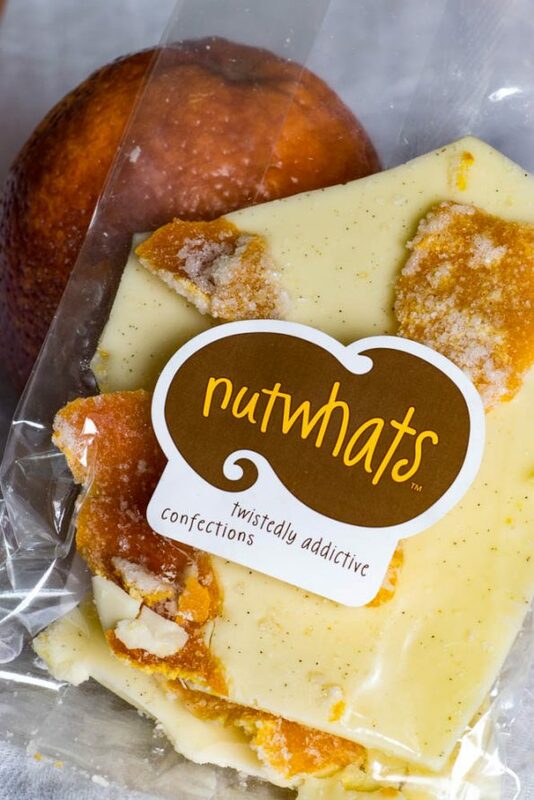 This week we are going to talk about one of our favorite candy makers who happens to also be in the Valley, Nutwhats! 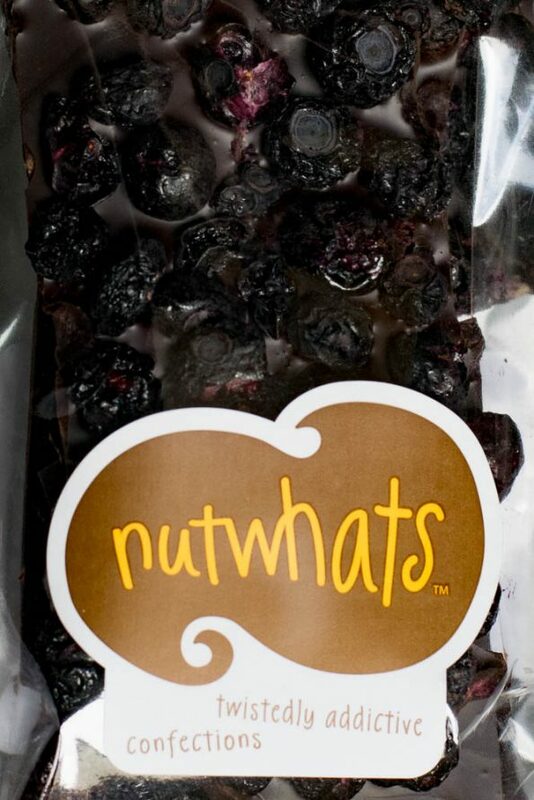 Owned by Lisa Rast, Nutwhats are hand-crafted using fresh, premium ingredients and no preservatives. The flavors that Lisa comes up with are anything but ordinary and she always manages to surprise us! Lisa Rast discovered the secret joys of invention and creativity of both sweet and savory treats in her mother’s kitchen during early childhood. Although intrigued by rule, form and chemistry, she joyously broke from convention, guided only by her curious, and sometimes unconventional spirit. Her love of intention, straight forward approach and creative inspiration provide a unique and unexpected platform for a whole new brand of confectionery treats. The first time we (actually Sarah) ever had Nutwhats was at the Scottsdale Wine and Chocolate Event in 2015. After trying the white chocolate and candied lemon peel bark it was instantaneous love! The following weekend we high tailed it to the Old Town Scottsdale Farmer’s Market and picked up more. Since then, we have followed their products. Lisa has done some truly fantastic candy this year including: champagne lollipops (which we are actually ordering for our upcoming wedding), Aviation (one of our favorite cocktails) lollipops, white chocolate cayenne bark with candied orange peel (also this week’s giveaway), and rustic moonshine truffles! We really hope Lisa does more of those moonshine truffles because they were a new level of amazing! Nutwhats can be found a few different ways. You can order them online on their website if you don’t feel like venturing outside. We prefer hitting up the Old Town Scottsdale Farmers Market (Lisa’s husband Jim runs the booth here and is a blast to chat with) or the Gilbert Farmer’s Market (Lisa runs this booth and we really do wish it wasn’t so far from us!). Recently, Nutwhats have become available at Pacific Provisions in San Diego, so all of you San Diegans get to enjoy them now too! Lisa is currently working to get her products in stores locally so keep an eye out! Be sure to check out our Instagram for a Nutwhats Giveaway! Next → Next post: Calling All Foodies for the Ultimate Tempe Experience Sweepstakes!